SO GLORIOUS TO SEE THAT EBONY COVER BECAUSE I HAVE THE PICS OF HER IN THE WIGS FROM THE INISDE, BUT IVE NEVER SEEN THE COVER! SHE WAS GORGEOUS AND STILL IS TODAY! That is too bad for those around you who do not know who Cicley is. That only indicates that their education and cultural awareness is lacking. I have no douvt that you will school them. There is nothing like being one up in the valley of come up n's. Cicley Tyson is one of America's cultural treasures. A talented performer and gracious, intelligent woman. She has been a cultural icon for decades. One of the things that I have always liked about her role selection is the female characters that she has protrayed. They were brave, pioneering or survivalist. They were dignified and they stood steadfast in their beliefs of what is right. I can remember a time when Cicley's apperance in a film or television show was a guaranteed must-see moment. She knows how to deliver a powerful performance. I suspect that they will learn this if they see her work. If they don't-flip 'em off because that means they are content to be blissfully ignorant. Honey ^^^ let me tell you, Ive had people look at these here pictures of cicely and ask...WHO IS THAT WOMAN? I say CICELY TYSON...and just SHOCK goes over their faces....lol I love it every time. They really have no idea how big this woman is and was then. i wholeheartedly agree. and she's so naturally dignified that i can't see why that level of disrespect was even present in the first place. i never noticed how much she looked like kimberly elise when she was younger until i saw this pic. 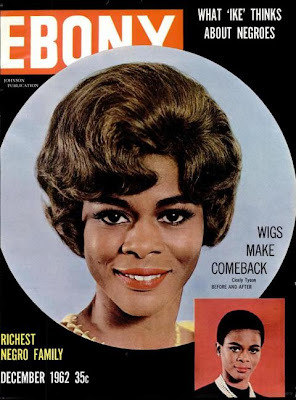 Cicely Tyson was a remarkable actress who had a powerful run of movies for awhile back in the day. re: your blogging inactivity. I keep your blog in my RSS-feed because I know you'll be back and your content is always outstanding. From one blog "deadbeat" to another, I'm with ya, IW! Just working up the interest and the brainpower to post more material is a task-and-a-half sometimes, for me, anyway. I'm not too surprised that those folks have no knowledge of who Cicely Tyson is and her legacy. For them, any media featuring people-of-color at the fore would be considered as something either unworthy of their attention, or even not "for" them regardless of quality. When I was in grad school, I was shocked at meeting four other students who...get this...have never, EVER heard of Good Times or Sanford and Son! It made me wonder if they had severe tunnel vision, or weren't familiar with basic TV history. Either way, it was quite weird. @villager: and THAT comment is why i love you! lol!! @ v-knowledge: hey! i just took your link down like last week cause i thought you stopped blogging....should i keep the faith and put it back up? Hey IW, you can put my link back up if you wish, although it's probably unlikely that I'll be posting new stuff anytime soon. Like I've said, just working up the motivation to write is kind of a chore for me. I dunno...if and/or when I start posting again, it would be sporadic at best. How do you stay motivated to keep yourself immersed in the blogosphere, IW?